Sports Authority’s board of directors appointed Michael Foss to the position of chief executive officer following the retirement of Darrell Webb. Webb is retiring from his positions as CEO and chairman of the board. Foss, who has served on the Sports Authority board of directors since 2009, has more than 30 years of experience in the financial and general management operations of public and private companies in the retail, technology and customer service industries. He joins the company from Petco Animal Supplies, where he served as executive vice president and CFO since 2007. Leonard Green & Partners, L.P., the majority owner of Sports Authority, is also a large shareholder in Petco. 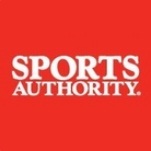 Sports Authority is one of the nation’s largest full-line sporting goods retailers in the country with more than 475 locations across 43 states. Prior to his tenure with Petco Animal Supplies, Foss also held the position of CFO Officer at Circuit City Stores, preceded by various leadership positions at Teletech Holdings Corporation, Kodak, Rally’s and IBM. Foss received his MBA from the University of Michigan. He and his wife will be relocating to Denver as he takes on his new role. Webb retires after a 33-year career in retail, including the first 26 with Fred Meyer Stores and its affiliates in the Pacific Northwest. Prior to being named CEO of Sports Authority in 2011, Webb was chairman and CEO of Jo-Ann Stores, where he helped lead a successful turnaround of the company, which was purchased by Leonard Green & Partners, L.P. in 2011. Webb continues to serve as chairman of the board for Jo-Ann Stores.